As the new update spreads to the monsters’ puppeteers around the world, WPCentral wrote a very nice article about it. You can read it here. Our review praises its controls, character designs, and cheerful atmosphere. The dashing, eloquent reviewer just wished for more environments to jump through. With MonsterUp’s version 1.7 update, his pleas for variety have been answered. 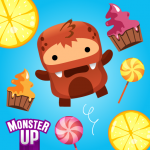 MonsterUp now has two brand themes (environments) to bounce around.Lemonade Madness drops the monsters into a giant lemonade glass, while Sweet-o-mania contains a colorful array of cupcakes, cookies, and lollipops. 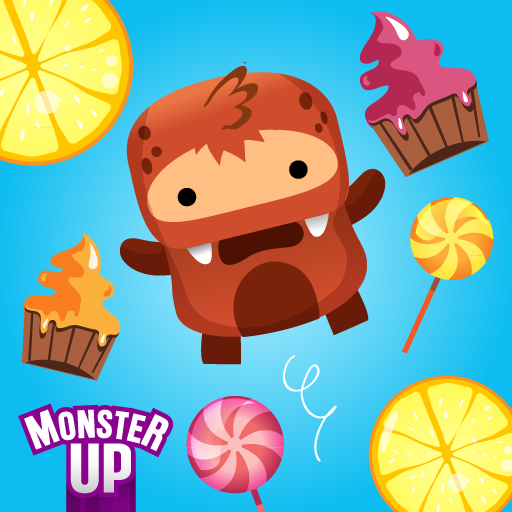 Both stages retain MonsterUp’s signature bright and gleeful aesthetic, plus they just taste great. MonsterUp has received 8 updates since its initial release back in January. Karios Games shows an impressive dedication to its signature jumping game.